What comes to mind when you hear the word institution? Likely, red tape, bureaucracy and an inflexible chain of command. Not exactly a friendly environment for a sleepover. Still, Sook-Yin Lee and the team behind the Sleepover podcast had hope. Surely, at least one institution would open its doors for a 24-hour social experiment. The Sleepover formula is simple: three strangers spend a night together to talk about what's difficult and try to make it better. But what if these three strangers already had one thing in common: a connection to a single provocative place. The team tried City Hall, Canada Border Services, the courthouse, hospitals, schools. All politely declined. The situation seemed hopeless — until one unlikely place opened its doors. Native Child is a Children's Aid Society in Toronto. 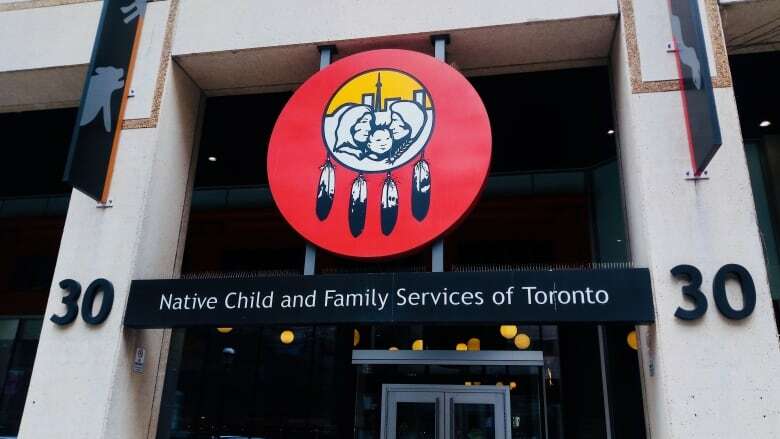 According to their website, it was founded in 1986 by members of the Native community concerned with the high number of Indigenous kids in the care of Children's Aid because of poverty, addiction and violence confronting families. Native Child also acts as a hub of sorts where folks can access cultural programs and family support. Of course, an institution is not simply a building. The people inside are its lifeblood. The first person Sook-Yin spoke to was Terri Jaffe. 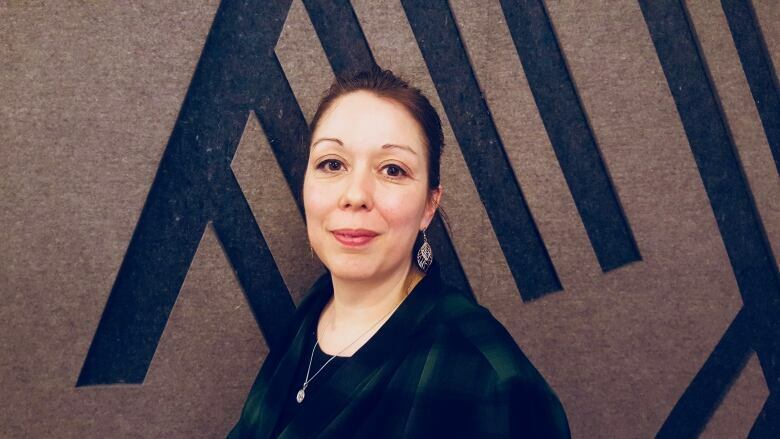 She's the events and communications coordinator at Native Child. Right away, Terri's interest was piqued by the idea of the sleepover. She wanted more people to get a full picture of what Native Child's all about. Yes, they provide services for cultural programs and family support — and they do try to keep families together. But, according to their website, they still have the power to remove a child from a family due to safety concerns. This can be a painful reminder of the colonial legacy of residential schools and the Sixties Scoop. "It would be foolish for me to pretend that we were here in Narnia," she said about Native Child. 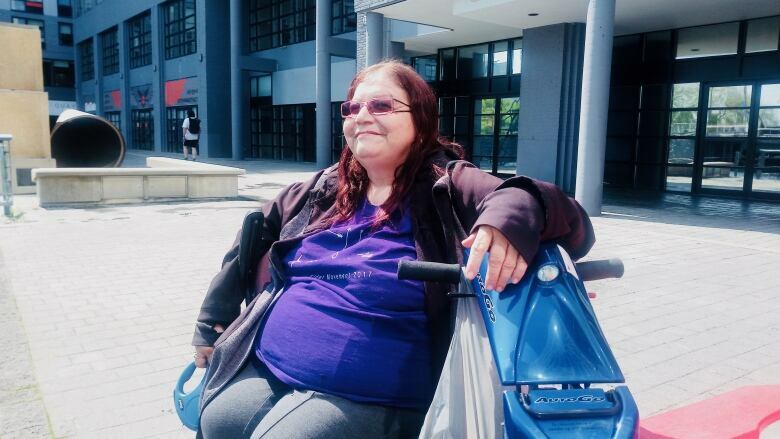 "I think the only way to improve people's lives is to talk about those kinds of elephants that are in the room"
Because she was adopted at birth during the Sixties Scoop, Terri herself has felt distant from her heritage. She doesn't know much about her birth family and the culture she was taken from. 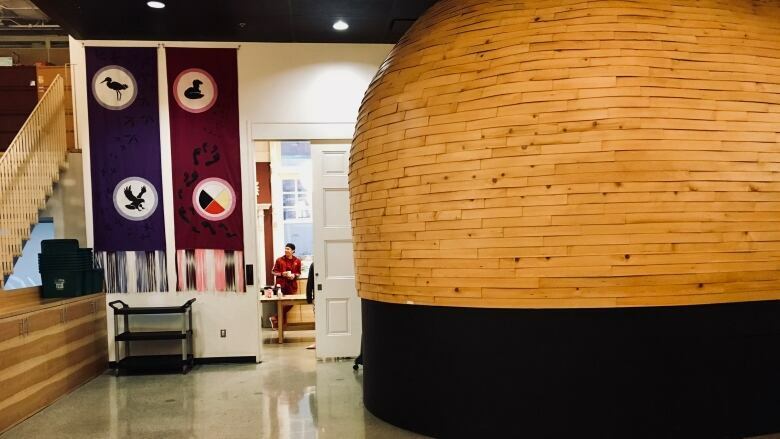 It was her teen daughter's desire to reconnect with her roots that brought them both to Native Child. At first, they were just interested in the cultural programs, but that led to a new job and a new beginning for Terri. "There's that part of me as a child that felt like I'd never fit in properly. And then when I came here I didn't know if I fit in properly either," Terri admitted. Terri connected Sook-Yin with Kenn Richard, the co-founder and executive director of Native Child. He's been with the organization for over 30 years. He's the one that had to give the final approval for the sleepover —​ and he was interested! "Pretty much every banner in the news related [to Indigenous youth] is a murder, suicide and big anger. It's distorted," he explained. "Most Canadians may never have seen an Indigenous person in their life but they've certainly seen them cry. There's laughter and tears and it's good to show both." That's why Kenn opened Native Child's door to Sook-Yin and team. 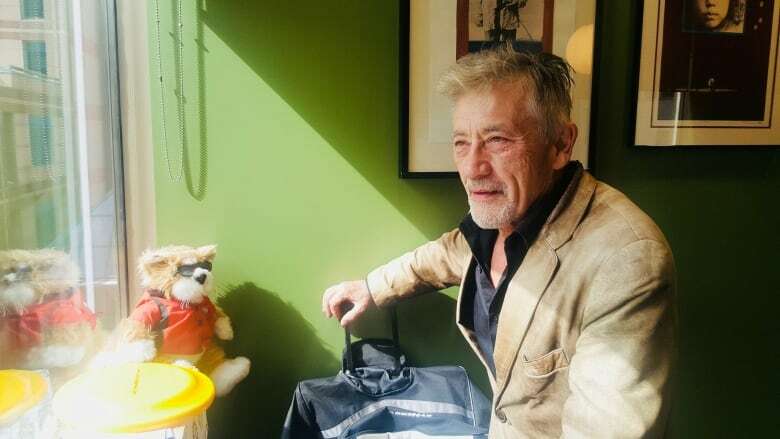 Now, this rocker-turned-social worker whose family hails from the original Métis and Francophone settlements along the Red and Assiniboine Rivers in Manitoba, has his eyes on retirement. Wanda Whitebird is an Elder who is familiar with Native Child but doesn't work there. She recently attended a meeting there with community members. "Many of them were traumatized by just having to go into the building to go to the meeting," she remembered. It's a complicated relationship because she personally likes it there (she's done a sweat up on the roof and done ceremony). "The people who work there are just trying to make a living. And they care. They're just trying to work in a system that wasn't created by them, but for us. And trying their best to create safe places for our kids," she said. Adding, "a lot of our children were stolen from us in our past. I mean, the system is like a needle that goes right to the heart." Along the way, Sook-Yin also meets her guests for the sleepover, energetic Tegan Smallwood, tender and tough Caterina Sinclair and confident Jordan Lonechild-Lavalley, three Indigenous youth who've interacted with Native Child in one way or another. New to Sleepover? Basic premise: Three strangers spend 24 hours with Sook-Yin Lee to talk about what's difficult and try to make it better. In seasons past they've slept over in hotel rooms and yurts. This season they spend the night at Native Child and Family Serivces. Download the CBC Radio app, subscribe on Apple podcasts (or wherever you get your podcasts) or bookmark this site. And don't forget to join the conversation on Facebook and Twitter!